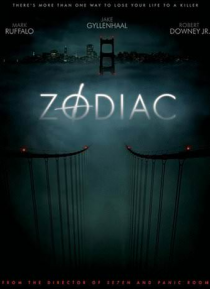 In the late 1960s and 1970s, fear grips the city of San Francisco as a serial killer called Zodiac stalks its residents. Investigators (Mark Ruffalo, Anthony Edwards) and reporters (Jake Gyllenhaal, Robert Downey Jr.) become obsessed with learning the killer's identity and bringing him to justice. Meanwhile, Zodiac claims victim after victim and taunts the authorities with cryptic messages, cypher… s and menacing phone calls.